I finally learned the name of the dance group we taught Lindy Hop to. Tres Generaciones which means Three Generations. This February we spent three nights teaching them Charleston, some lifts and an entire dance routine for their recital this weekend. 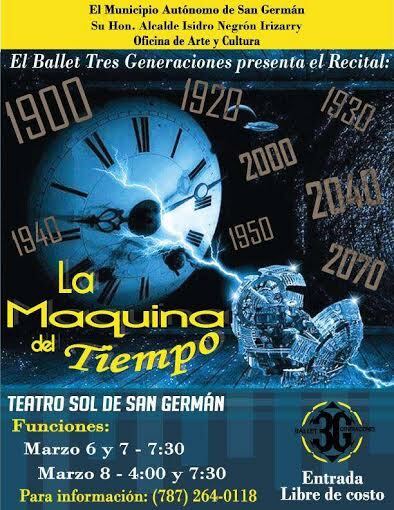 This group usually does more traditional Puerto Rican dances but the theme for this year’s show is “Time Machine” so the needed something from the 1930s/40s. yay! I wish we had another night with them to really polish it up, but oh well. Trevor and I are going to see them perform tonight! I love the Charleston dance that you showed the kids. It was fabulous. Where were the classes given? I am sorry that I had not heard of it before. That is my husbands hometown and we would’ve gone. That Charleston was great! I’m going to be traveling to Puerto Rico. Do you know of a place on the Island that I could take a lesson or social dance? Hopefully that will change someday!